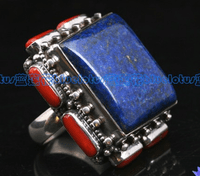 Handmade Tibetan Sterling Silver Lapis Lazuli Coral Ring. It was handmade in Tibet from sterling silver lapis lazuli and coral. 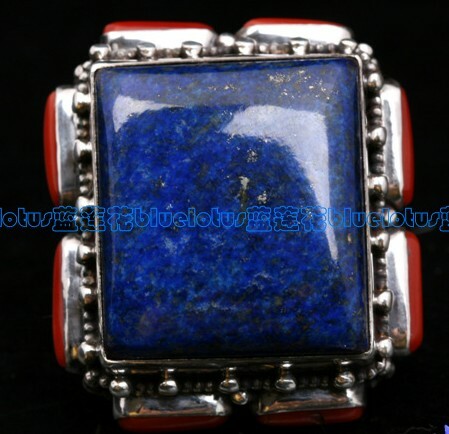 USA Size: 7.5. 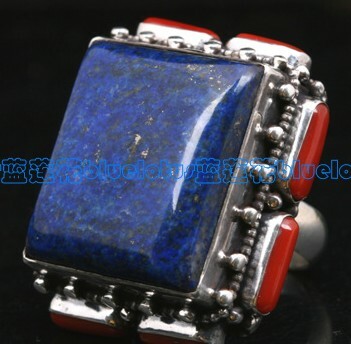 Lapis lazuli size: 27x24mm; Ring width: 38x34mm; Weight: 48.9g. 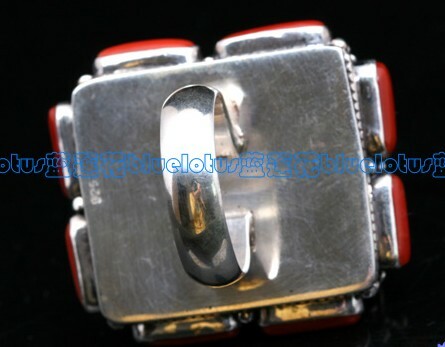 This Tibetan silver Ring was handpicked and inspected by our jewelry-collect team in Tibet. 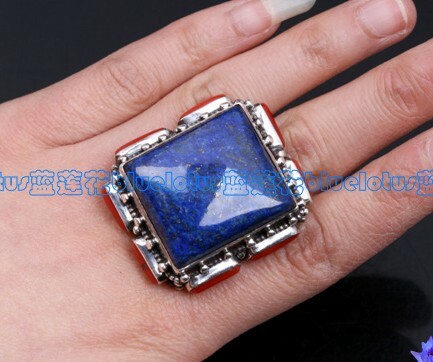 100% quality and satisfaction!